It's summer which means 'tis the season for being outside and enjoying the weather with your pooch. Even my Chihuahuas enjoy being outdoors and running around in the grass. But no matter what breed of dog you have, there are always some things you can do to keep them in good physical condition. Ticks are tiny little buggers that can carry Lyme Disease. They usually hide in tall grass and brush and they love to hop onto you or your dog when you pass by so be sure to use a Flea and Trick treatment on your dog each month. Look for one that repeals ticks as well like K9 Advantix II. When dogs go tearing around through the grass they can actually rip a nail and cause it to bleed. No one wants that mess in the house so be sure to keep your dog's nails trimmed on a regular basis. Also, regular walks on the sidewalk concrete help file them down naturally. Dogs can be really rough on their joints just from bouncing around whether it's inside or outside. Obviously their food can provide them with the nutrients they need to keep their bones and joint in great shape but just to be sure they get it all, it's a good idea to use a Nutramax Cosequin Soft Chews from Chewy. Cosequin is very important for join function because it supports cartilage production and protects existing cartilage from breaking down. Cosequin is what I use on my dogs and it's the only glucoasmine sulfate supplement that's safe and affective in controlled U.S. veterinary studies. Anytime you are outside with your dog, make sure you have fresh water available. If you go on a hike or a long walk and it's a hot and humid day, carry a water bottle and a collapsible bowl. It's already hot for humans but imagine having a layer of fur over your skin that makes you even hotter!! Never ever EVER let your dog outside without a leash on. If you have a fenced in yard, that's great but make sure there are no holes that your dog can escape through. 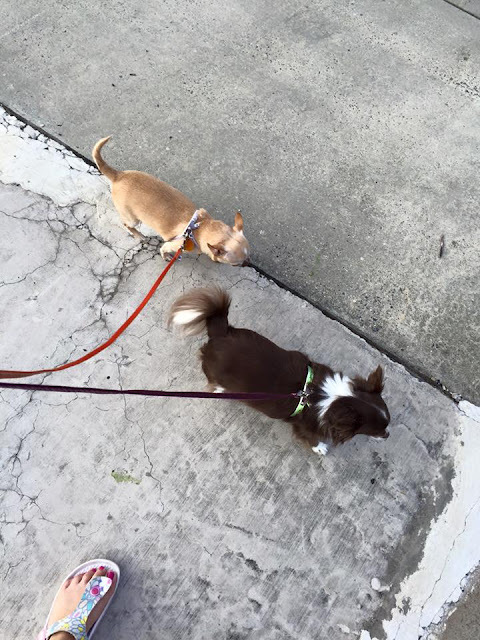 Leashes are important because not only do they keep YOUR dog under control but it keeps them nearby if another dog comes towards you off-leash and you need to grab your dog or keep it under control. 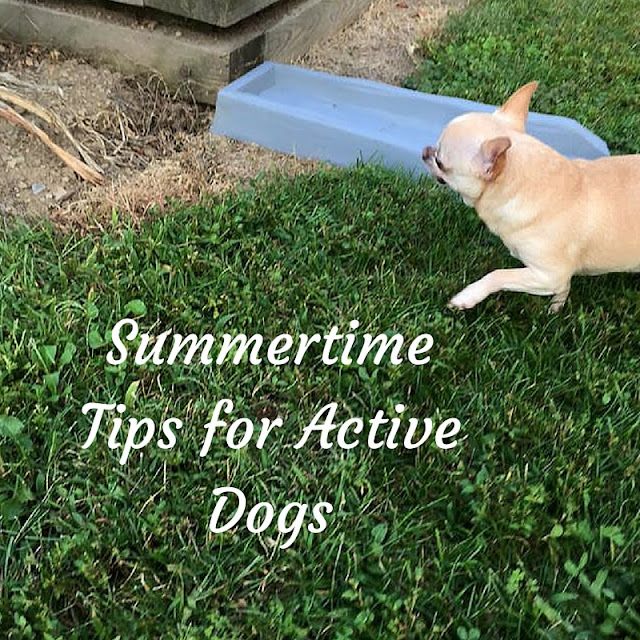 What other tips to you have for summertime with active dogs?